Such a hard decision.. 2 fan favorites in need of a remake! Seeing Rydia's summon abilities, along with cecil's inner battle in HD would be a dream come true. From the Gardens battles to the space launch in Esthar, so many memorable moments in FF8 that would be stunning! 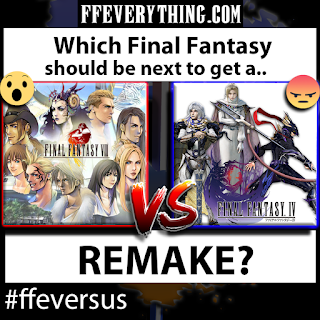 With FF7 Remake right around the corner possibly, what remake would you like to see next?